Often parentally micromanaged, pressured by high expectations, grappling with depression and anxiety, a bit socially awkward or just a little bit lost in a strange new world, today’s college students are seeking counseling in greater numbers than did previous generations, according to college counselors and other experts. 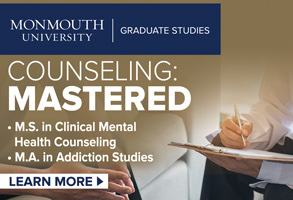 Those who counsel students point to various factors for this surge in clients, including greater overall awareness of mental health issues, higher rates of depression and stress, and a huge increase in the overall student population at colleges and universities. According to the Institute of Education Sciences, the research and statistical arm of the U.S. Department of Education, between 1992 and 2012 (the latest year for which statistics are available), the number of students enrolled in degree-granting institutions has grown by 39 percent. 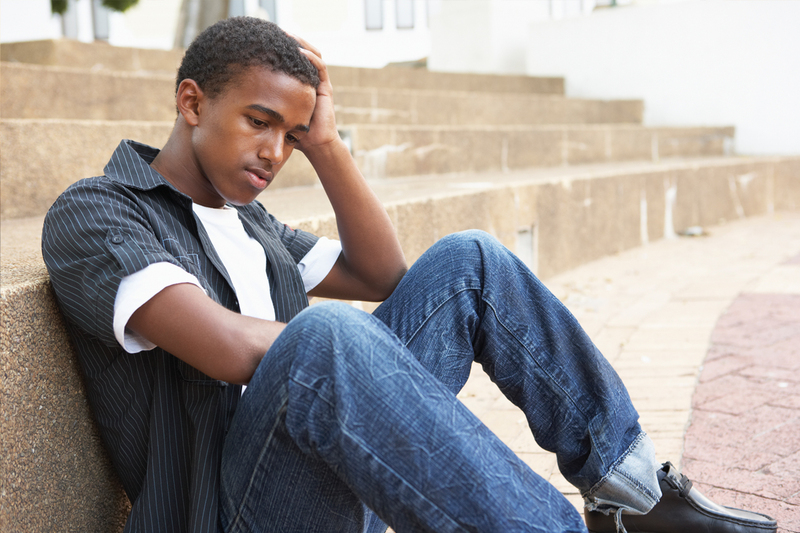 National surveys conducted by the American College Counseling Association (ACCA), a division of the American Counseling Association, indicate that the percentage of students struggling with serious mental health issues has also increased. In addition, 42.4 percent of the almost 75,000 undergraduate students who completed the 2015 annual American College Health Association National College Health Assessment reported experiencing greater than average stress within the past 12 months, and 10.3 percent reported feeling tremendous stress. When asked about depression and anxiety during the previous 12 months, 35.3 percent of survey respondents reported feeling so depressed that it was difficult for them to function; 57.7 percent indicated feeling overwhelming anxiety. At the same time, staff growth at college and university counseling centers has typically failed to keep pace with this increased burden. As a result, these counseling centers are often scrambling to stay on top of their caseloads, and college counselors are using a variety of campus resources and outreach methods to meet the needs of today’s students. One of the defining features of the traditional college experience is leaving the nest. But many students in the current generation are having trouble finding their wings, according to college counselors. That’s in part because, generally, today’s young adults are used to their parents managing many aspects of their lives, says Suzanne Degges-White, who supervises student counselors as part of her role as a professor and chair of the Department of Counseling, Adult and Higher Education at Northern Illinois University. “There’s this idea that kids need protecting, so when they get to college, suddenly if they don’t like a class or their roommate, this may bring them in to the counseling center,” adds Degges-White, the ACA Governing Council representative for the Association for Adult Development and Aging. ACCA President Amy Lenhart agrees, saying that the students she sees often seem ill equipped to handle many of the demands they face, such as managing their academic workloads, interacting with instructors and other students, and even getting to class on time. Both Lenhart and Degges-White say they regularly encounter students who have trouble making any kind of significant decision on their own. In some cases, parents are still trying to make all the decisions for their college-age children, says Lenhart, who works with students on general counseling issues and career concerns at the counseling center at the Preston Ridge Campus of Collin College in Frisco, Texas. “I can tell you that even in counseling, parents want to make appointments [for their son or daughter],” she says. She has also encountered parents who want to sit in on their son’s or daughter’s career counseling sessions. In such cases, it is important for counselors to set boundaries and let parents and students know that it is time for these young adults to make certain decisions on their own, Lenhart says. The consequences for students who struggle to make decisions and manage their lives can be severe, Degges-White says. Not studying, skipping classes and failing tests can quickly lead to academic probation, she points out. Although it is easy to dismiss such behavior as laziness or a lack of interest, Degges-White contends that would be a mistake. Instead, counselors need to ask students about their classes, including why they’re not going or why they think they’re failing a particular subject, she says. The answer may be related to poor time management, and many colleges have workshops to which counselors can refer students. ACA member Nick Patras, a licensed professional counselor and assistant director of the counseling center at Texas A&M University-Commerce, dissects the time management process with his clients. Sometimes students come to the counseling center after their first semester having failed several classes and hoping for an easy and instant answer, he says. Josh Gunn, the director of counseling and psychological services at Kennesaw State University in Georgia, urges college counselors to be aware of their campus culture and who their students are. For instance, Kennesaw State’s student body features a significant percentage of first-generation college students, he notes. Parents who have been to college generally impart at least a minimal amount of knowledge to their children about how college works, but first-generation students don’t have that advantage, says Gunn, a member of ACCA. Not knowing anything about college life can pile on an additional layer of uncertainty and stress, he points out. First-generation students are also more likely to be putting themselves through school, which may mean working a job in addition to attending classes, Gunn says. For these students, academic struggles may be at least partially tied to general financial stress or simply not having as much time to focus on their studies, he explains. Counselors should consider how putting students in touch with other resources such as the financial aid office or an academic adviser might relieve certain stressors for students, he says. It’s also important for counselors to keep in mind that not all college students are young adults fresh out of high school. Some students, especially on today’s campuses, are individuals who are beginning or returning to college later in life, Degges-White points out. These students are confronting many of the same stressors as their younger peers, but they will be juggling those stressors with work and family concerns, she says. Lenhart’s institution is a community college, which means that its students don’t have to meet the enrollment requirements that applicants at four-year colleges and universities do. Because of this, she explains, some of those who enroll — for example, a 50-year-old student who hasn’t taken classes since high school — might not be ready for the courses he or she is taking. It’s important for counselors to consider factors such as these when students come in with academic problems, Lenhart says. What seems like (or may in part be) a time management problem could actually involve a skills deficit for which counselors should refer students to the tutoring center and their academic advisers, she says. When academic performance is a predominant concern for students, it affects every area of their lives, including their mental health, Gunn says. Therefore, when students come to the counseling center and present with depression, anxiety or stress, it is important for counselors to ask how their courses are going, because academic concerns may be exacerbating whatever other issues they are concerned about, he says. Counselors should also keep in mind that if a student is struggling with academics, that issue doesn’t necessarily go away just because the mental health problem has been addressed. “If you’ve cured someone’s depression but they flunk out, you’ve failed,” Gunn says. Joel Lane, who studies the theory of emerging adulthood and is the coordinator of the clinical mental health counseling program at Portland State University in Oregon, says that, traditionally, a person’s late teens and early 20s were when attachment relationships shifted from one’s parents to peers and romantic partners. Possessing the ability to form and maintain these healthy attachments is especially important in times of transition and can affect not just an individual’s personal life but his or her professional life as well, he says. However, for members of the millennial generation, that process has become more complex for several reasons, according to Lane. One is that young adults (ages 18-25) are “younger” psychosocially than previous generations have been. Millennials’ identity exploration is taking place at a later age when they are no longer adolescents but when they do not consider themselves adults yet either, he says. Also, because their parents often continue to manage their lives, these young adults may be less likely to seek other sources of emotional support, at least in the “real” world, Lane continues. Where today’s young adults tend to turn to seek support and interact with others is social media, he explains. And although social media may be good for those purposes, it does not generally prepare young adults for making connections and conversing in their classes, in social situations or on the job, Lane contends. Unfortunately, many college counselors report that social anxiety — which negatively influences a person’s ability to form new attachments — appears to be much more prevalent among today’s students than in prior generations and is a factor in a significant number of their clients’ cases. Patras says that about half of his cases involve social anxiety as either the presenting concern or an aggravating factor. Often, he says, the students he sees simply do not understand how to interact with others. Lenhart and Degges-White have observed this as well. Although none of the three counselors believes that social media is inherently bad, they do think it has caused a significant shift in how young adults interact with one another. “They say they are ‘dating,’ but they might just be interacting on Facebook or through texting,” Patras notes. Although it’s true that adolescents and young adults are establishing social networks online, they typically do this in solitude at their computers or on tablets instead of learning face-to-face communication and interaction skills, Degges-White says. She adds that many of today’s college students spend their social time video chatting with friends from home rather than going out and making new friends. 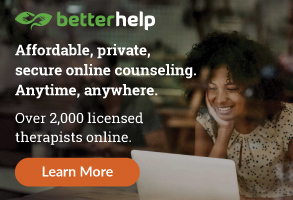 Technology does provide its own kind of connection and access to a wide array of helpful resources, Lenhart acknowledges, but it is also easy to hide behind, particularly for those with social anxiety. “We want them to actually be out in the world,” she emphasizes. Which is why some college counselors are gently but firmly pushing students out of their comfort zones. For instance, Patras holds workshops on social skills. He teaches students how to integrate into an unfamiliar group by first finding one person within the group to talk to. When participants ask how to start a conversation with someone they don’t know, he tells them to ask the other person about himself or herself. “Everyone likes to talk about themselves,” he says. In the workshops and in individual counseling, Patras also teaches students relaxation and emotional regulation skills such as mindfulness meditation and deep breathing to help ease their anxiety. Degges-White believes a combination of cognitive behavior therapy and a bit of desensitization therapy is effective in helping students overcome social anxiety. Her counseling center also refers students to small group sessions in which students can practice talking to one another. Degges-White has also found that giving “homework” assignments to students, such as having them talk to at least one person in one of their classes each week, encourages greater social engagement. Because a lack of social skills is becoming more common in young people, even high schools are beginning to offer groups that focus on these skills, she says. College counseling centers don’t just deal with students’ issues related to time management, academic adjustment, social skills, being away from home for the first time, getting used to living with other people and, as time goes by, choosing a major and career path. The age range when most people go to college — late teens to early 20s — is also the age at which serious mental illnesses such as depression, bipolar disorder and schizophrenia often appear. College is also a time when many people choose to begin experimenting with drugs and alcohol, which can lead to substance abuse problems. Unfortunately, the level and length of care that college counselors can provide to students experiencing serious mental health issues varies greatly. Patras says that his counseling center currently has the resources to work with students for as long as they need it and are willing to do the work. According to Patras, the small city of Commerce has only two mental health professionals, and many of the university’s students don’t have private insurance, so the school’s counseling center is a particularly essential resource. Other institutions are forced to limit the number of sessions that each student is entitled to or else maintain long waiting lists because demand is so high, Lenhart says. Because of these limitations, many college counseling centers focus on triage. This involves getting the most severe cases in or, if necessary, referred out for hospitalization or psychiatric care immediately, and using brief interventions such as solution-focused therapy for less severe cases, she says. Some colleges are relying more frequently on group therapy, which doesn’t count against students’ allotted center visits and has the added benefit of helping students interact with others, Lenhart says. This is especially important in cases in which students are dealing with depression or social anxiety, she adds. Groups can also be particularly beneficial for students dealing with grief, working through issues related to their sexual or gender identity and a wide range of other challenges. Gunn says some of the counselors in his center are taking on the role of case managers in the more complex cases. These counselors get students who just got out of the hospital or have special needs set up with a psychiatrist or an on-campus counseling group. College counselors are also reaching out to students to raise their awareness of the many services that counselors can provide; distributing psychoeducational materials and doing public screenings; and educating faculty and staff on spotting the signs of behavioral problems. Gunn’s counseling center gives regular workshops on everything from decision-making to general wellness to sexual assault awareness. He believes that college counseling needs to become more proactive; not just to let students know where the center is located and say, “Come see us when you’re ready,” but to actively look for potential problems in hopes of preventing bigger ones. 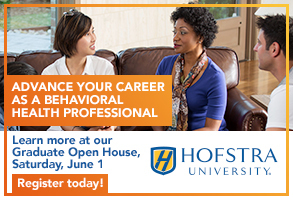 His staff regularly provides information about identifying behavioral problems to the resident life program, department heads and other faculty and staff. In addition to encouraging prevention, he hopes that counselors can help create campus cultures in which the belief becomes that safety is everyone’s responsibility. Lenhart bemoans the lack of residence halls on the community college campus where she works because she believes that hall staff — due to their more frequent contact with students — serve as a sort of first line of defense for identifying students who may be struggling and in need of counseling. That doesn’t mean the college’s faculty and staff aren’t vigilant. In fact, she says, faculty and staff often bring students to the counseling staff’s attention and even walk those in need of help to the center if need be. So, Lenhart and her counselor colleagues educate, educate, educate, conducting psychoeducational sessions and distributing informational fliers for national events such as Depression Awareness Day. Professors also have the counseling center staff visit classes and give presentations on stress and anxiety, she adds. She believes that classroom sessions not only help demystify what college counselors do but also get students more comfortable with the idea of coming to the counseling center. Many colleges now have a kind of “college 101” class for incoming freshmen. The counselors interviewed for this article said it is important for college counseling centers to be involved with these efforts, either by providing educational materials or giving presentations. Patras’ counseling center maintains liaisons within all of the university’s major academic departments and also works closely with campus police, who refer students to counseling if they have had trouble related to alcohol or drug use. 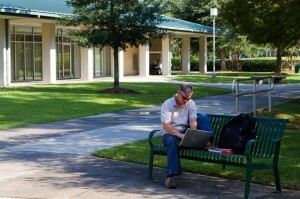 The counseling center also educates other faculty and staff about possible indicators that students may need help, such as unusual acting-out behaviors (for example, outbursts in class), slipping grades or a previously responsible student who is now missing classes or not completing assignments. 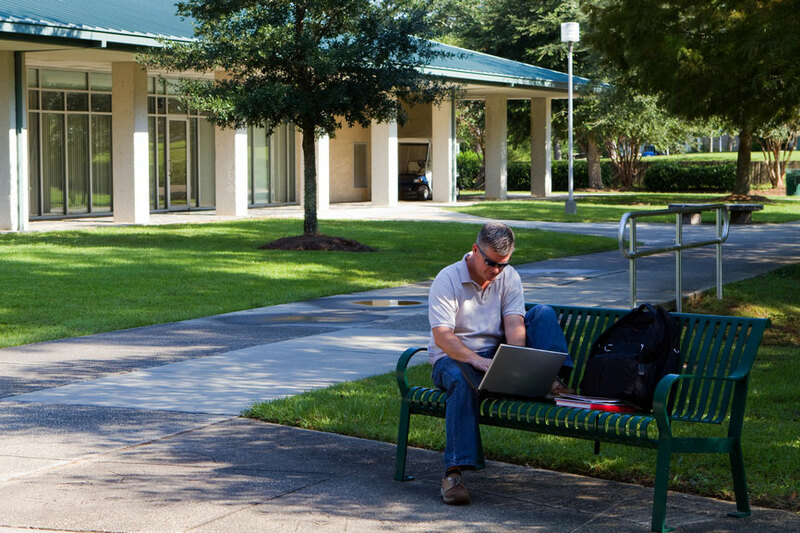 Behavioral intervention teams are also becoming common on college campuses. The problem-solving teams typically include counselors and representatives from campus departments such as student affairs, campus police or security, student conduct and resident life, explains Brian Van Brunt, a past president of ACCA and author of Harm to Others: The Assessment and Treatment of Dangerousness, published by ACA. These teams meet regularly — typically once a week — to exchange information. The goal is to identify incidents or patterns that might indicate a possible problem — such as increased substance abuse arrests or a rash of suicide attempts — and to formulate a course of action with the goal of preventing larger problems. Events such as the 2007 mass shooting at Virginia Tech provided the impetus for the creation of behavioral intervention teams, Gunn says. Even so, he cautions college counselors not to focus exclusively on such large-scale events. “Don’t waste all your time preparing for a mass shooting that may never happen,” he says. Events such as a student’s suicide are more common, he explains, and likely to have a significant effect on campus mental health. To reach as many students as possible, counselors need to encourage an environment of multidepartmental sharing, he adds. 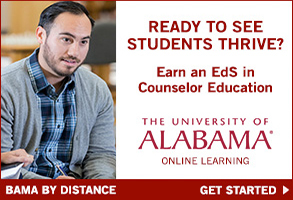 In many ways, counselors interviewed for this article say, college counseling has become a campuswide effort. 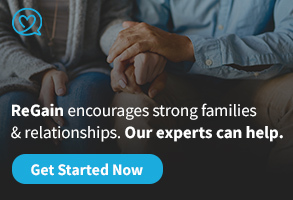 For those who would like to learn more about the topics addressed in this article, the American Counseling Association offers the following resources. “The Effects of a Brief Mindfulness Intervention on Self-Compassion Among Undergraduate College Students” by Danielle Richards and William E. Martin Jr. The American College Counseling Association, a division of ACA, focuses on fostering student development in colleges, universities and community colleges. Visit collegecounseling.org to learn more about the division and to access its array of resources. Great work. I think that tuition fee, partying and time management are the main problems that college students face. Students should really work on those areas and try applying for loans. There is a quote in this article about students having had “helicopter parents” and then college faculty not caring whether students get their “homework” done. In addition to providing coping skills it is essential that we counsel students to check their thinking. The distortion that faculty don’t care about their learning is very likely not accurate and feeds a distorted perception that no one cares. That thinking can only fuel hopelessness and depression. What’s expected from the student is that they take responsibility, that they care as much or more, than their faculty about their own success. It simply isn’t personal, it isn’t teacher apathy, it just isn’t college level to have faculty check homework. If we counselors and faculty speak with one another I believe we will better understand weather the student’s struggle is distorted thinking or environmental/situational distress. We need to know whether it is student perception or whether they are truly dealing with faculty who don’t care about their work. Are we correcting distorted thinking or we perpetuating socially anxious and victimized behavior? Or do we attempt to advocate with the faculty on the students behalf? Resilience is the ability to bounce back from difficult times. As we counsel students to be resilient we need to keep in mind that asking for help is one of the cornerstones of resilience. Most faculty are eager to help and engage their students. The better our relationships are with faculty and staff, the better we will be at assessing our students, as well as facilitating support on their behalf.